Farm House Sheek in Canton's newest subdivision Oakwood Trails with 2 bed, 2 bath GUEST COTTAGE!! Main home is 4bed, 2 bath, 2 liv & hosts unique decor with vintage accents, custom wood ceilings and ship lap walls & wainscoting. 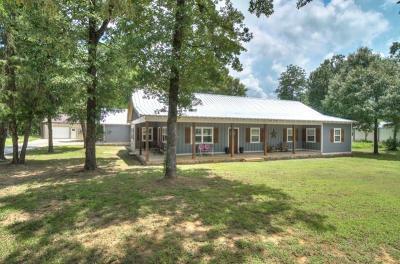 Guest cottage has 20x30 shop attached & and great loft area that could be used for storage or many other possibilities. All situated on a beautiful 3.6 acre wooded lot.